Azeri Grandmaster Rauf Mamedov became the new European Blitz Champion by defeating Vladimir Belous from Russia with 2-0 in the final round. 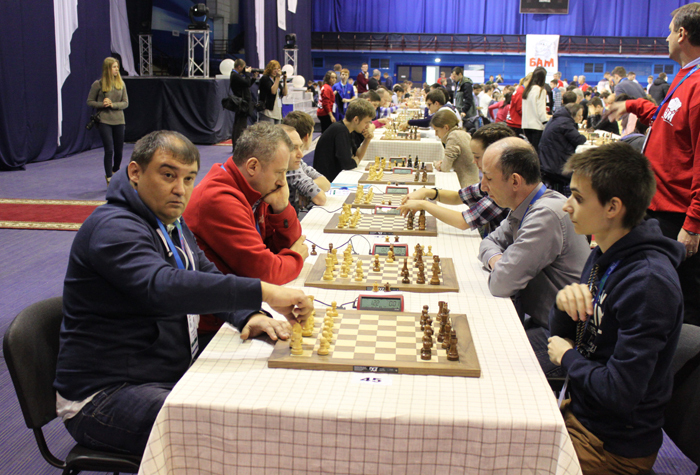 Mamedov scored 18 points, the same as the Russian GM Boris Savchenko, who defeated Sergey Zhigalko with the same result, but thanks to better tie-break gold went to Mamedov. Bronze medal went to Alexander Riazantsev from Russia with 17 points. The best women player is GM Valentina Gunina from Russia who finished on 23rd place with 15.5 points in such a strong competition. The event was played according to the Swiss System in 11 double rounds, with time control 3 minutes game + 2 seconds per move. 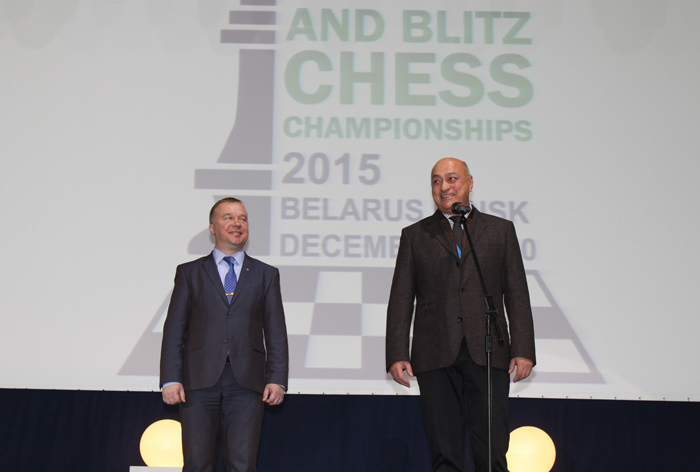 At the opening ceremony, which was held shortly before the 1st round, the participants were addressed by Mr. Aleksandr Shamko, Minister of Sports and Tourism of the Republic of Belarus and Mr. Zurab Azmaiparashvili, President of the European Chess Union. 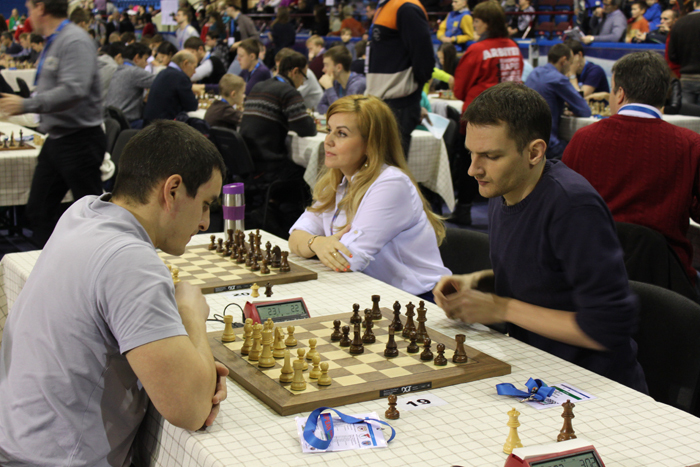 European Rapid &Blitz Chess Championship is taking place in Minsk, the capital of Belarus, 18-20 December in Sports Palace. 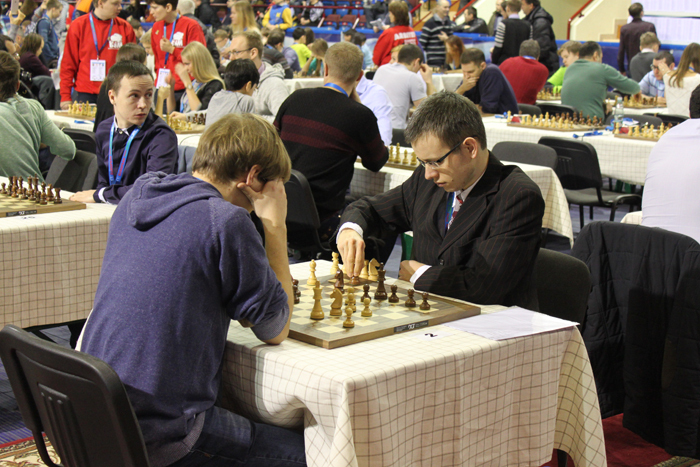 Tomorrow the European Rapid Championship is on schedule, with the first round startin at 10 am (local time). Follow the games online with the live commentary on the official website of the Championship.